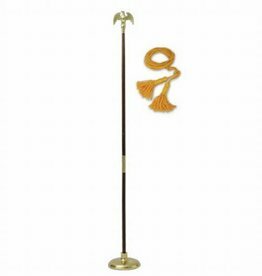 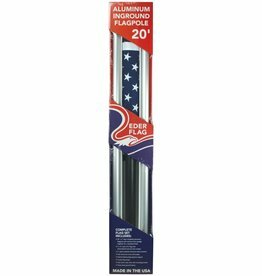 All-aluminum ground set flag pole in 20' complete with 3x5' nylon us flag. 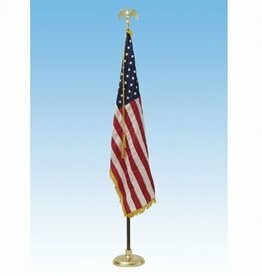 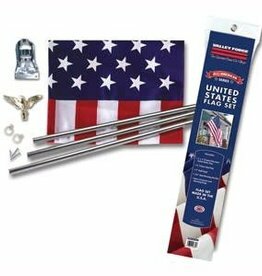 This PVC bagged U.S. flag kit comes complete with a 3'x5' grommetted printed polycotton U.S flag, 6' 3-piece steel pole and stamped steel bracket. 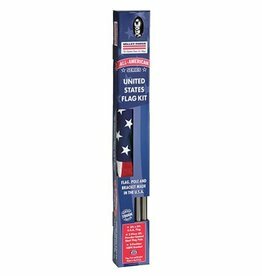 Flag Kit is 100% made in the U.S.A.